We Like This Ennis Area Event. Ennis Czech Fest 2019 FEBRUARY 08, 2019 – 09, 2019 @ SOKOL ACTIVITY CENTER 2622 E. HWY. 34 ENNIS, TX 75119. Bring the family to Ennis’ famous annual Czech Music Festival! The event will feature food, live bands, and more! Costumes are encouraged. 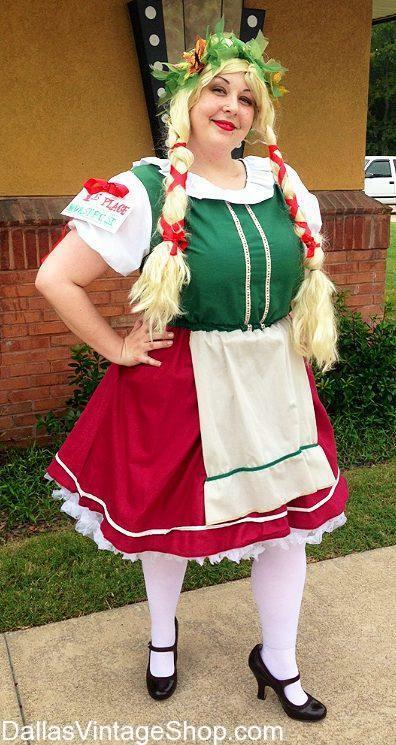 Find amazing international costumes for the whole family at Dallas Vintage Shop! “Come join the polka bands of Ennis, Texas at the annual Ennis Czech Music Festival held every Saturday after Super Bowl Sunday. The festival is a day filled with great music, dancing, food, drinks, and much more. Dance to 5 fabulous polka bands including Czech and Then Some, The Czech Harvesters, The Ennis Czech Boys, The Jodie Mikula Orchestra, and The Moravians. Come hungry because the Sokol kitchen will be serving Czech classics all day long, including Klobase and Sauerkraut. A full Fried Cat Fish Dinner will be served from 4:00-7:00PM. The festival is also a great family event, including a kid zone for the smallest of attendees. Doors open at 12:00 PM with music from 1:00 to 11:00 PM. Admission is only $8, and kids aged 12 & under are free! ​Everyone come dressed in your Czech kroj because for the first time this year, a parade of Czech costumes will be held at 3:00PM. Everyone is welcome to participate! ​Make sure also to come to the Polka On! Festival Pre-Party, featuring The All Around Czechs! The Pre-Party is held the Friday night before the festival in the Sokol Clubroom. Doors open at 5:00 PM and the party goes until 11:00 PM, plus there is NO cover charge. ​For those who want to enjoy the weekend full of fun, the Sokol hall also offers RV hook-ups. For details on hook-ups, call 214-236-5168. This entry is filed under 2020 TBA (Q1) Ennis Czech Music Festival. You can follow any responses to this entry through the RSS 2.0 feed. Both comments and pings are currently closed.